And I shall now proudly display this button on my side bar. 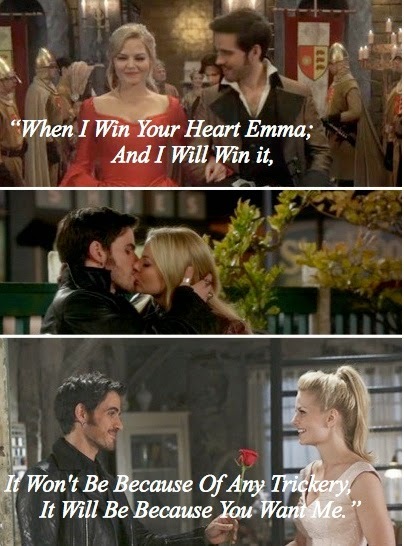 I know, Killian was detestable during season two, but he improved so much! He actually became honorable! (gasp!) And he fought for Emma. Geez, he sold his ship, The Jolly Roger, to get a magic bean so he could save her. And he jumped into a time portal to follow her. And he held her when her mother died, and did everything he could to save her when she was freezing.. And told her that Neal was alive instead of keeping it from her. 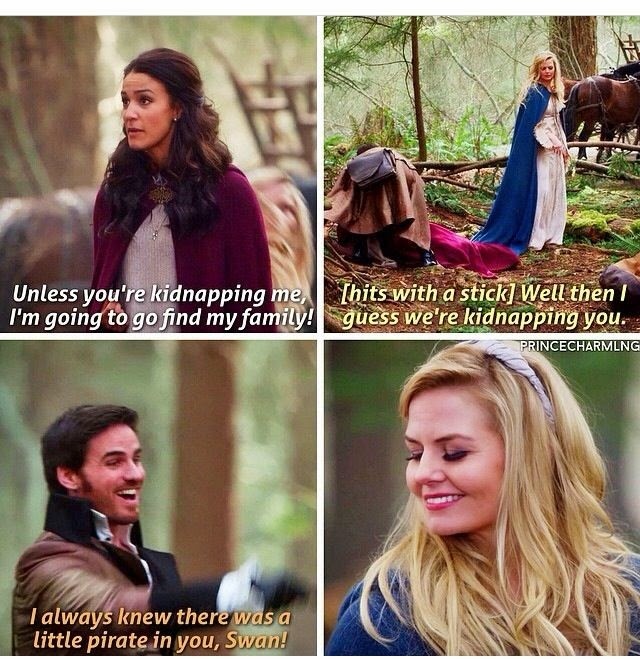 And told her the truth about Rumple blackmailing him. Ya, their so cute together. And I ship Captain Swann so hard it's not funny. This picture isn't mine btw. So choose your team, and display it proudly! Just a note: I made all the pictures except the one with Marian in it. (All the pictures used were found on various websites, and the ideas were gathered from other pictures off the internet.) You are welcome to use the pictures I made, but please maybe put a link back to my blog? Thanks Dearies, and go Team Killian! Yes! That is a ship that gets me swooning EVERY TIME!!! I love them to.